Today’s guest gives meaning to the word, “Success.” She’s risen to the top of every business, career, and goal she’s set, and today she’s going to teach us how hustle, going against the grain and swimming upstream may be the exact thing that is holding you back. 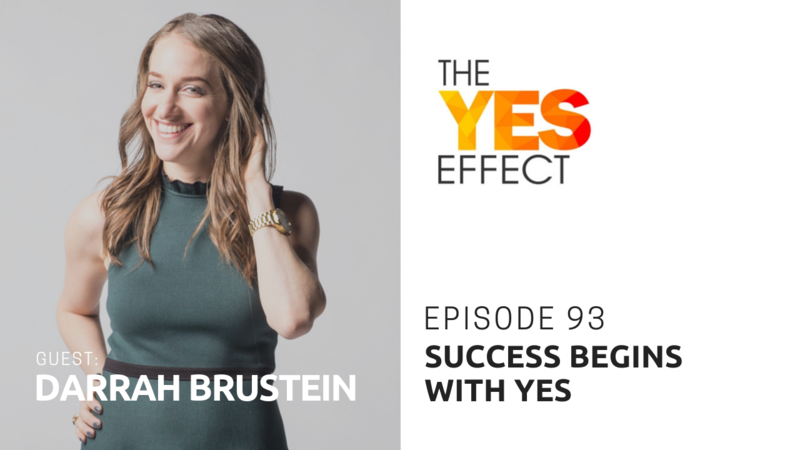 She’s reinvented and reimagined herself again and again, and she is redefining what success looks like when you just say “YES.” Her name is Darrah Brustein, and this is The YES Effect! Considerations when mapping your goals for the future and why authority trumps strategy and tactics!